It sounds like you are really enjoying your snow days! I love the Bible verse on your printable. Thank you! Janet, I’m so glad you like it! It’s one of my favorites. 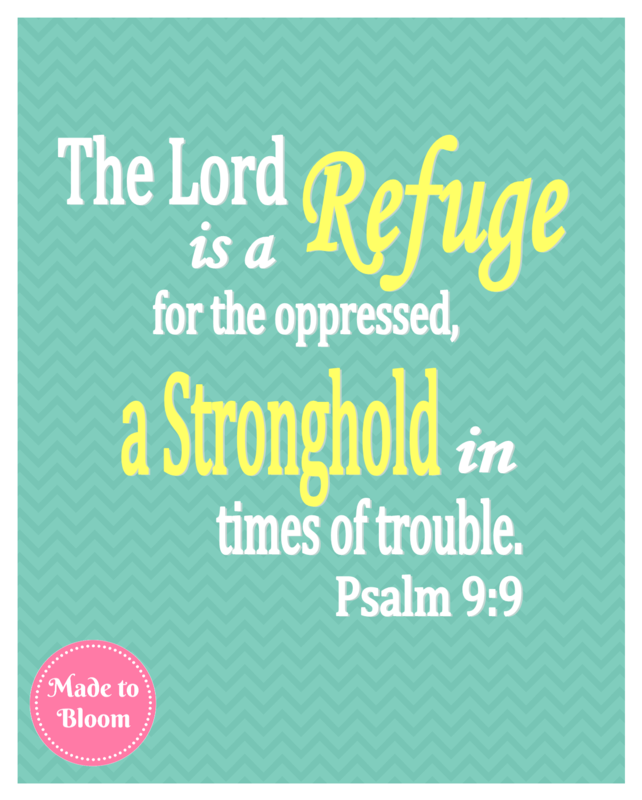 This is a lovely reminder and a beautiful printable! Going to pin! Thanks so much! I’m hoping to make more available in the future. Love your creativity! I wish I could say I was that productive during our snow days, but I was not!! My productivity went the other direction. I would love, Love, LOVE (did I say LOVE??) you to do a free printable of Isaiah 52:7 (it’s probably not one of the more popular verses for the masses, but it has a very personal meaning to me, as I shared in my own blog post today 😉 Thanks for sharing your beautiful creativity with us! Thanks so much! I do love being creative 🙂 I’ll have to share more in the future. One of my favorite verses is Jeremiah 29:11. Sounds like you were very productive on your snow days! I love Jeremiah 29:11! It’s one of my favorites, especially when I’m uncertain about what’s going on in my life. I’ll have to work that one up!